Summer is just around the corner and I have been waiting for this season to come since it's end last year! I live for the warmth and heat of the sun although I absolutely abhor sweating. But as humans, we never are fully satisfied and we always complain about something. To beat the summer heat, I'm grateful that bntNews sent me the Nature Republic 92% Aloe Gel to review. The 92% Aloe Gel is one of the top products from Nature Republic. There's a ton of things you can do with aloe vera and with the aloe vera gel here's some cool ways on how you can use it. 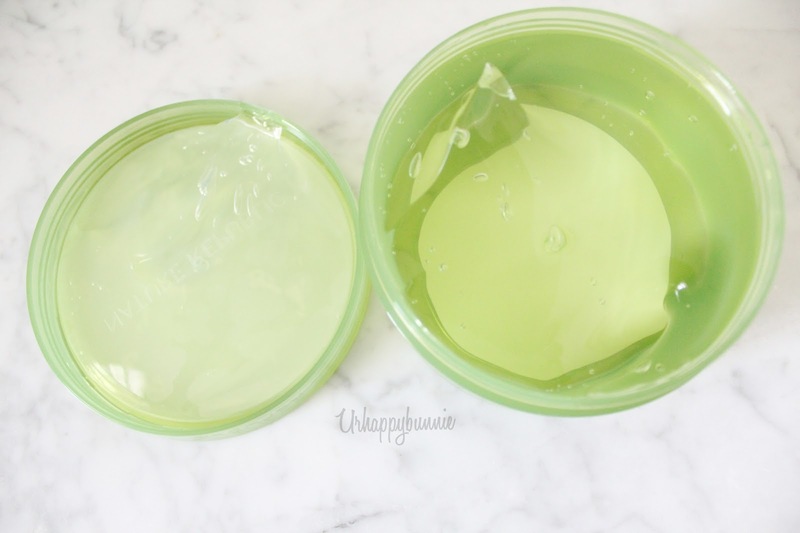 A year ago I reviewed the Comelyco 95% Aloe Gel and I had some really good experience with it like skin calming and scar improvement (check out the review for photos on the scar improvement). I have also mentioned in that review that I didn't quite like the Comelyco as a hydrating sleeping pack because I just didn't fancy the tightening feeling on my skin. Skin tightening and firming is actually a good thing to prevent wrinkles but the feeling that I had during that time with the Comelyco 95% Aloe was just something that I personally didn't like. This time around with the Nature Republic 92% Aloe Gel I tried to see if I would get the same result and uncomfortable feeling. Great news, I liked it as a sleeping pack this time around. I did the same thing as I did before, applied a thick layer on my face and just let it sit there. It took about a good 10 minutes to be fully absorbed. It was refreshing and the skin, nice and cool. 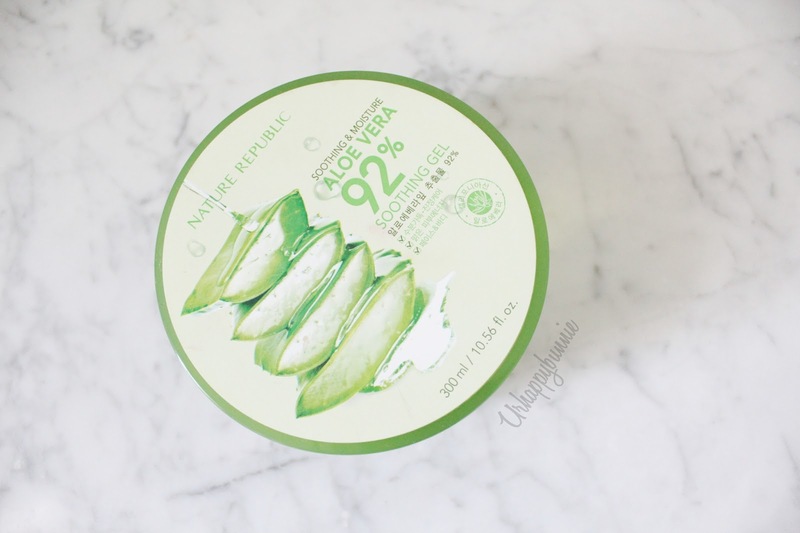 Unlike the Comelyco 95% Aloe Gel which gave me an uncomfortable tightening sensation, the Nature Republic 92% Aloe Gel tightening sensation was comfortable. I think this is mainly due to the fact that this has a watery gel texture. It really doesn't feel like gel but one of those watery moisturizers which applies and dissolves into the skin like water. Because of the watery-gel texture of this product I find that mixing it with my current foundation is such a good idea. It hydrates the skin without making me look like a grease ball throughout the day. 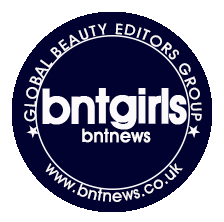 Also, it helps in prolonging the wear of the makeup. Hydrating? Soothing? Yes. Definitely. Scar improvement? Not entirely sure. I didn't have any new cuts and scars to test it out on but I'm getting a new tattoo in another week so I'm quite excited to try it out with that and see if it helps hasten the healing process. And to top it all off, it works great as primer! Two thumbs up for the Nature Republic 92% Aloe Gel. 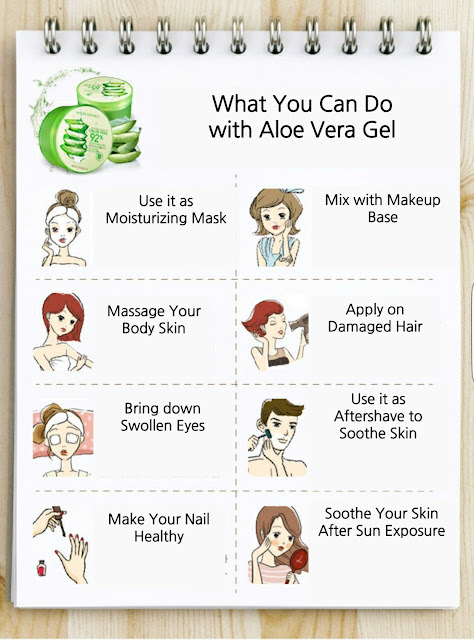 Whenever you see any aloe vera products, go give it a try since it really has so many uses.